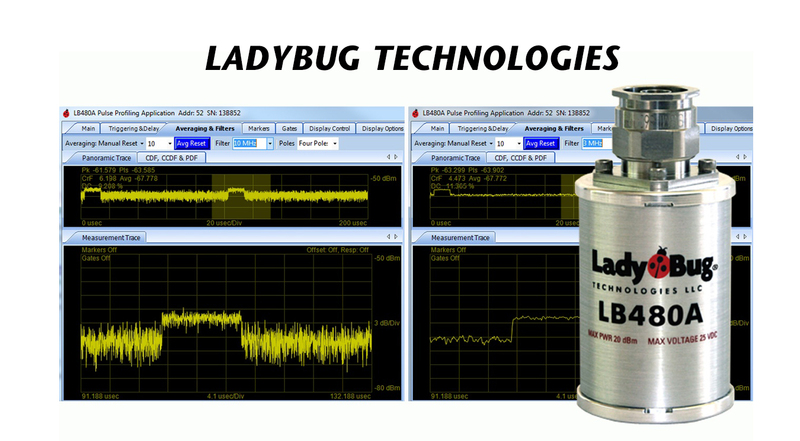 The LB480A (shown) and LB680A RF Power Sensors with Option 004 make wide bandwidth time domain trace measurements. The detected video filters include a selection of 9 frequencies between 100 kHz and 10 MHz. The filters are ideal for honing in on your signal modulation, and can aid in reducing noise that interferes with the desired video information. Signals can be cleared so that accurate peak and pulse power levels are quickly measurable.